100%of customers recommend this dealer. We will recommend Washington Electric and Generac generators. I've been dealing with a lot of contractors lately and I must say Eric Johnson and his team are the absolute best. I had sent an email to a couple of companies explaining our needs (my husband is disabled and housebound) and out of all the companies I contacted Eric was the only one that replied to me the same day (Sunday!) and made time to fit me into their busy schedule. Thank God for Eric! The other companies replied a week later saying they didn't have time for us. Making time for us meant EVERYTHING to me then and on top of it to get the EXCELLENT service. ensuring the sidewalk was clean! Everything went like clockwork. The service technician was very professional and knowledgeable. Kept work area organized and clean, explained things as he was performing the maintenance work. 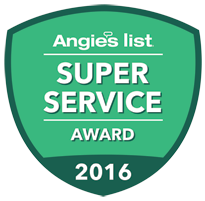 Eric and his crew were professional, knowledgeable and polite! After having a horrible experience with our first generator installation, I was understandably wary of going down this road a second time. Eric was incredibly patient in answering my endless questions. 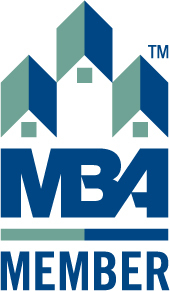 Their expertise and thoroughness that they showed made me feel comfortable in our choice. I also thought my husband was going a bit overboard with choosing a generator that would automatically come on....that's what I have him for :-). Again, so thankful we made this choice. The power went out within 2 months of having the unit installed. My husband was out of town and I was home alone with 2 sick children. The generator kicked in within 15 seconds of the power going out and I didn't have to do a thing. Highly recommend the generator and Washington Electric. You won't be sorry. Much more reasonable than the other estimates we received. Right on time, finished in one day. Friendly with the dog. Did not have the requested Kw generator, but put in the next smaller size and willing to come back to replace later for no charge . We opted to keep the smaller one for the reduced price. All workers polite and professional. After thorough research and multiple proposals I chose Washington Electric to install a home backup generator system. Eric Johnson was the representative who I worked with and he was more than helpful providing answers to all of my questions. The install team was great (nice work and clean job site) and took extra time to review my system after install. Our local inspector also mentioned their services and only had positive comments on previous inspections for them. I won't hesitate to enlist their services in the future if needed. The first visit with Eric was very thorough. He asked what it was we wanted the generator to support and then gave us all our options. We selected a 20KW unit and planned out all the circuit moves ahead of time. At the install, Eric and Curtis arrived on time!!! and after consulting with me to confirm the plan, got right to work. Even with a last minute add-on of a PMM, they finished within the scheduled install window. Everything is labeled and they even reviewed all the documentation with me afterwards. Great guys, great job! It's not often enough you hire a contractor and are happy with the result, but even more rare is when you are very, very pleased with the result! Washington Electric responded to my inquiry promptly, the workers were professional, clean, and very polite without being weird, showed great expertise in their knowledge of product and did not try to sell us more than what we needed. Not long after our Generac was installed we had several power outages, one lasting nearly 2 hours. What a comfort it was to hear that machine fire up and be able to continue with our daily routine in our warm and well-lit home. When there was an issue, the contractor responded quickly and corrected it .. and on a weekend. You will not be sorry if you hire them to do the work. We will hire them again for any electric work that we need in the future. Eric and crew did a great job installing the generator wiring and gas plumbing. Always friendly and considerate of our needs and at a very competitive price. These guys are the GENERATOR PROS! Dealer was very professional and did a great job of installing the generator. Would highly recommend him and his company. Very neat and tidy around the job site. Washington Electric is a fantastic dealer. Easy to work with, very knowledgeable, on time, on budget - just great. We had a 11KW backup generator installed and Washington Electric did a great job and everything went seamless. They went the extra mile. Couldn't have wished for a better dealer. We will definitely use them again. Wish all contractors were like Eric and his team. Can highly recommend them. Washington Electric did an incredible job. Eric was very professional and knowledgeable about the generator my family needed. Working with Eric and Washington Electric made my families choice very easy. I wish all contractors were as thourough and prfessional as the team from Washington Electric. GREAT JOB!!! From the start of getting estimate through completion of the project (14k backup generator plus circuit breaker switch box) this dealer was punctual, pleasant, and professional. Installation was performed by a 2-man team who worked very well together and really seemed to enjoy the work. Would recommend dealer without reservation. Excellent response time, very professional, fixed my problem in record time. Prompt, friendly, easy to contact somewhat more than I expected for routine check up. We’d been talking with other sales reps for a year trying to figure out how to install a standby generator at a reasonable cost. Our challenge was that the house had a 400 amp service panel, overkill for a residential home. Eric was the only one who recommended removing it and installing the standard 200 amp service panel, saving us about $4,000. Always prompt with communications, concerned about doing the job right at a fair price. Highly recommend for electrical and generator work. 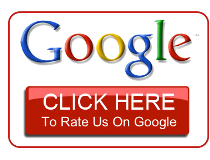 Every aspect in dealing with WE was pleasant and professional. From the initial contact, through the bidding process, to the installation and follow-up, everything was simple, quick, and well done. Rarely have I had such a great experience with something that could be easily overwhelming. If you want the best job done, hire these guys--they're pros. I would highly recomend this dealer!! Eric from Washington Electric is fantastic! He listed to what we wanted and helped us pick the right size generator for our needs. The install was done on time and they were here when they said they would be. Everything was done very neatly and professionally. When the gas inspector wanted a pressure test done Eric was here that evening to install the pressure valve. This is a great dealer I would use them again in a minute!! This company's employee Eric was very professional We would recommend this company to all our friends and family. Eric is a very personable guy. Spent time thoroughly going over what we needed and why. Was on time, and on budget. Went above and beyond as he even patched the drywall in the garage where the old equipment had been. Definitely gets a top recommendation from me. Washington Electric LLC is truly a very professional Co. I received five or six bids to install a standby generator at my residence. Eric and his company were my first choice . I was impressed with the way they presented how and what they would do. I was told it would take two days, they would be here at 8:ooAM, both days - they were ON TIME each day. Every detail was done as they promised, the generator, new braker panel, wiring etc. were all first class! I would recommend them for any such job!! Russ R.
The salesman (Eric) was also the electrician who did the install and was able to confirm there would be no hidden charges. They showed up on time both days and did high quality work. It works great and we have piece of mind that the sump pump, freezer and frig will work if the power goes out while we are away. I have a 14KW generator installed a year ago and my opportunity to extend my warranty was expiring the day I contacted Washington Electric. I called and left a message, but didn't expect a callback that day, but Eric called back within the hour. I explained my situation and he took all the generator details. Long story short, Eric submitted my information in time and followed up that night to let me know. I also scheduled my maintenance with Eric due to the thoroughness and professionalism that he displayed. I would recommend Washington Electric to anyone for their generator needs. From the moment that Eric came to our house we had confidence in him. He is friendly, knowledgeable, and professional. He listened to our needs and objectives for our emergency generator system, quoted us a price, and then proceeded with the installation. He made certain that our system did everything we wanted. He was very prompt for his appointments. He thoroughly explained how our Generac system works and the importance of proper maintenance. 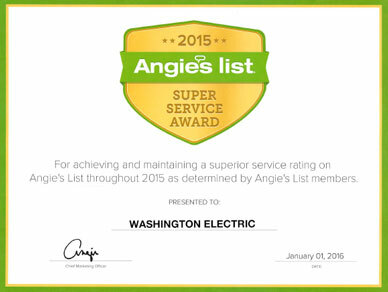 We are very pleased with the system and very highly recommend him and Washington Electric. After five days with no power last winter, having to replace our refrigerator because of damage from repeated power surges, and the loss of hundreds of dollars of food in the freezer we decided to get a generator. Washington Electric was recommended by a friend, and they have been fantastic to work with. It took a while to get the generator from the manufacturer because of Super Storm Sandy draining the marketplace; but once it arrived it was installed quickly and expertly. Eric made an extra trip out to make sure I was comfortable with the very few things I had to know. Now I can't wait for the power to go out - I'll be the house having a party. Thanks guys for a great experience. Washington Electric did an absolutely superior installation of our 14KW Generator and GenReady Load Center. The wire and gas pipe routing was carefully thought out and the installation is very clean and looks good. Very impressive. These guys know what they're doing and take pride in their work. You won't be disappointed. And their pricing is better than the home centers installation packages. I would highly recommend Washington electric. They just installed a corepower backup generator for me. I had orginally planned to install it myself but opted to have them do it instead. Their work is outstanding, they were on time, on schedule and on budget with no surprises. Really pleased with the employee who took time to make sure i was clear about operation of the generator and worked with me to ensure that i had required/desired circuits on the generator. I almost cant wait for the power to go out now! We had a 20KW whole house generator installed with a Nexus smart switch. Eric went out of his way to make sure everything was installed and working properly. He did a fantastic job, all at a very reasonable price. He's also very friendly and personable, and I would definitely recommend Washington Electric to anyone thinking of installing a generator. Eric and his crew were a pleasure to deal with. They were right on time and on budget. These guys have the knowledge and expertise to do a very thorough generator installation. I would highly recommend their services and I will use them again for any further electrical work. After having narrowed my generator search to two brands I called several installation companies and actually had three come to my home and assess the scope of work and bid the job. The first two wanted me to order my generator from an on-line vendor and after delivery they would come by and do the installation. Washington Electric had my generator in stock (On-line ordering would take six to eight weeks because after Hurricane Sandy most generators went to the East Coast).and after patiently negotiating on my behalf with the gas com-pany to have a larger gas meter installed they had the installation completed within two weeks. They took pains to insure that all installation protocols were met including placing the generator on an elevated pad. These guys are the best. I am 64 years old and have had many contractors do work for me. There are always problems or things turn up. Not with Washington Electric. Everything went just as they promised and bid. No surprises, except that there were no surprises. Great Job!!! Great Generator!!! Great service in all areas. We were very pleased with the work that was done at our home and look forward to using our generator. They were very professional. Came on time each time they said they would. Understood the generators & options, electrical codes and procedures, gas requirements. Did a very neat and thorough installation. Overall, just an excellent contractor. Walked me through every step of the process. Walked me through the entire process. I highly recommend this dealer. We were very pleased with Washington Electric. They were very responsive to our questions. We also liked the fact that the estimate was almost exactly what the actual cost turned out to be. We would highly recommend them. Well knowegable - excellent service! Almost looking forward to losing power this winter! Used Generac site to find several nearby service companies for small standby generator annual maintenance. Chose this one based on experience, record, and pricing. Was not disappointed as Washington Electric provided service that was professional, conveniently scheduled, and at the best cost in the area. They explained every step of the maintenance and made helpful recommendations for future consideration. Contacted the dealer and arranged for the installation of a Generac Guardian 20KW unit with auto standby. The dealer made the whole install seamless on my part, covered everything from permits to 3rd party contractors to install the gas line. After the install was completed cleaned up and restored all areas to previous condition. Worked with me and around my schedule so I could meet all of my other commitments. Highly recommend the service of this dealer and his team.